JACKSON, Miss. -- Mississippi's governor signed a law on Tuesday that allows public and private businesses to refuse service to gay couples based on the employers' religious beliefs. "This is a sad day for the state of Mississippi and for the thousands of Mississippians who can now be turned away from businesses, refused marriage licenses, or denied housing, essential services and needed care based on who they are. This bill flies in the face of the basic American principles of fairness, justice and equality and will not protect anyone's religious liberty. 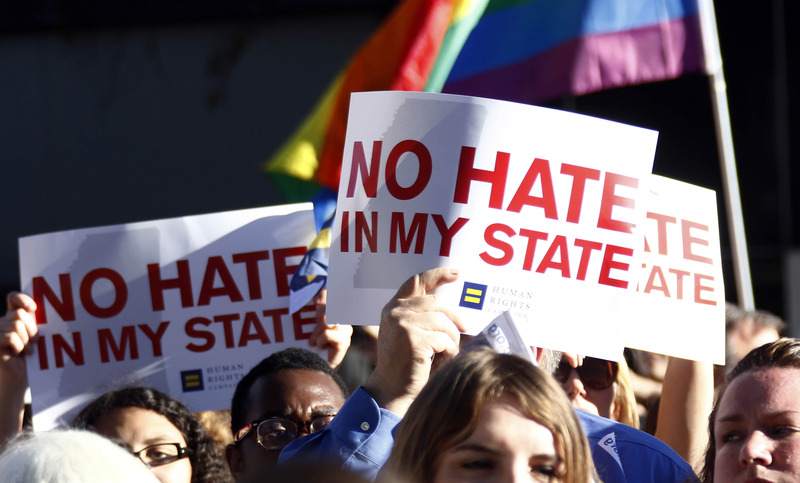 Far from protecting anyone from 'government discrimination' as the bill claims, it is an attack on the citizens of our state, and it will serve as the Magnolia State's badge of shame."